Dragalia Lost, Nintendo’s first original mobile IP, releases tomorrow for Android and iOS. Before Nintendo fans jump in, here’s a recap of all the official artwork released on Twitter to celebrate the game’s countdown. Each one depicts some central characters from the game. Three days left until service begins for #DragaliaLost! Today's countdown illustration done by the development team is the brother and sister combo of Luca and Sarisse. 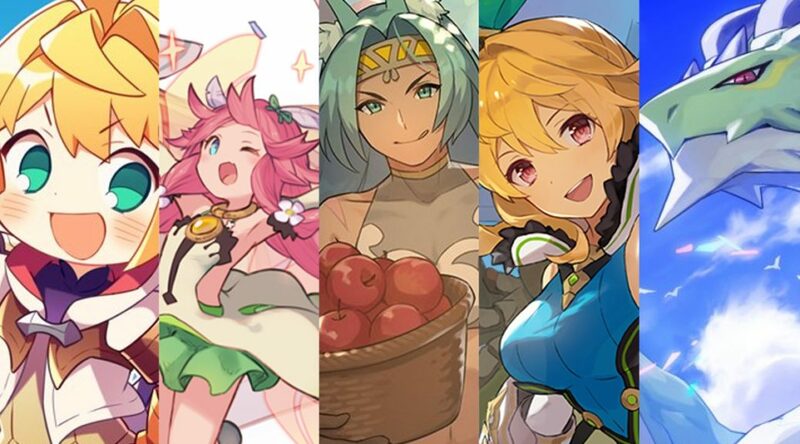 Four days left until service begins for #DragaliaLost! Today's countdown illustration done by the development team features Zethia and Notte. Five days left until service begins for #DragaliaLost! Leading up to launch, we will reveal countdown illustrations done by the development team starting today! We're starting things off with the Main Character and Cleo! If you’re interested, versions without the ‘Dragalia Lost’ logo can also be found at the game’s official Japanese Twitter profile.